Human rights law has been hijacked in the UK by special interest groups seeking to advance their own rights above those of the rest of the population. The European convention has been repeatedly used in a way that weakens the government’s ability to defend the country from terrorism or to deal with illegal immigrants. But, while there has been a growing clamour for this abuse to be tackled, the real cause of the problem has been fundamentally misdiagnosed. In this forensic study, barrister Michael Arnheim shows how critics are too quick to blame the European Court of Human Rights for the unwarranted extension of the convention’s reach across UK law. In reality, it is Britain’s domestic courts that are largely responsible for this development, while successive governments have been too supine to prevent it happening. Given this misunderstanding of the problem, it is little surprise that current proposals to address it are misguided too. Dr Arnheim details how we have come to this pass and what must be done to address it. 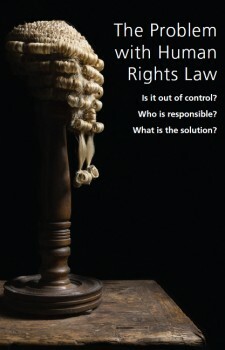 Dr Michael Arnheim is a practising London barrister and sometime fellow of St John’s College, Cambridge. He has written 15 published books to date, including The Handbook of Human Rights Law, Principles of the Common Law and The US Constitution for Dummies.